Home Culture What You Should Know About the West African Talking Drum. The African talking drum is a unique musical instrument which is known to have been invented in West Africa. The talking drum is traditionally used to imitate various speech patterns and communicate when beaten by an experienced drummer. It is probably one musical instrument that has been used right from the ancient times. The drum is mostly styled to suit the drummer’s taste. It is believed that the talking drum has a mystical link to the gods and deities in communities where it is used. The body of the drum is made from a unique type of tree found in West Africa specifically in Oyo State, Nigeria. The drums are usually given special names and this helps in identifying which drum to use in communicating with the ancestors. The talking drums are important musical instruments played during special traditional ceremonies in most countries in West Africa. These unique instruments are mostly found in countries like Nigeria, Cameroon, Senegal, Togo, Benin and Ghana. The talking drum is very much versatile. As earlier mentioned, it can effectively mimic speech and phrases; it has the ability to produce various kinds of tones hence this versatility makes the drum to be used as a standalone musical instrument during musical performance. The talking drum has many names and they include; Ganga, Dondo, Tama, Atumpan, Bata, Dundun, Kalangu, Lunar and Odondo. In Nigeria, the drum is commonly found used by the Yoruba from the Western region of the country. Other ethnic groups like the Hausa have their own version of the talking drum called the “Ganga”. The body of the drum is manually carved from the trunk of trees and molded most often into the shape of the hourglass. The two end of the drum are covered up with a thick membrane made from the skin of animals like goats, sheep or bull. These leather membranes are strongly fastened at both ends by a tension cord pinned to the body of the drum. The body of the drum can be adorned with bids or items like the cowries to give the drum a stylish look. 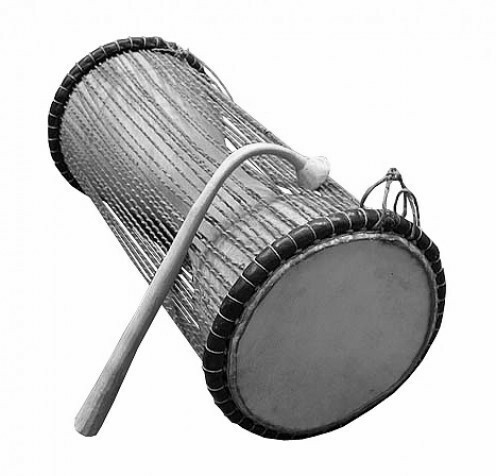 The talking drum comes in various sizes and is played with the drum stick. The drum is played by placing it in between the drummer’s arm and the body while the drum stick is held with the other hand. However, playing the talking drum requires great skills and dexterity. In order to produce any fascinating sound from the talking drum, one must know how to coordinate the movement of the arms and the fingers. Most drummers who plays the drum have had years of experience playing the instrument and had most probably started by dedicating several years in learning the art. Whenever you visit the region, do not forget to savor the cool sound emanating from the talking drum as you enquire from the locals of any traditional ceremonies coming up. Check this out Top Ranked Universities in West Africa. Previous articleTop Six investment Destinations in West Africa for 2017. Next articleCape Verde The Island of Green.